An old image of the Bing Crosby building at Sunset Blvd. 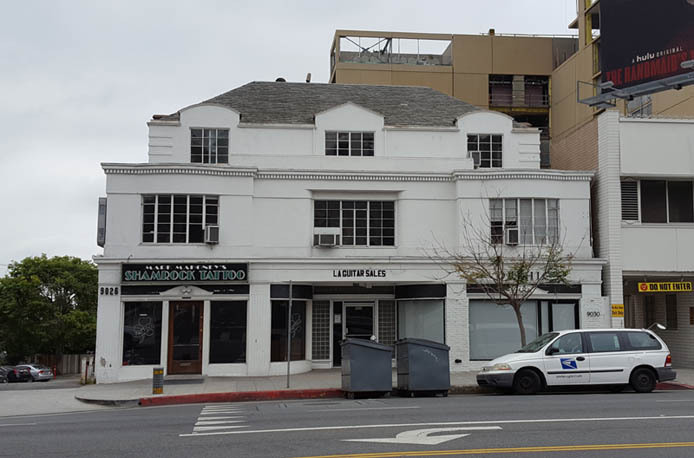 The California State Historical Resources Commission voted this week to nominate the Bing Crosby Building in West Hollywood for listing in the National Register of Historic Places. The vote at the commission’s May 17 meeting was unanimous among the seven members present. 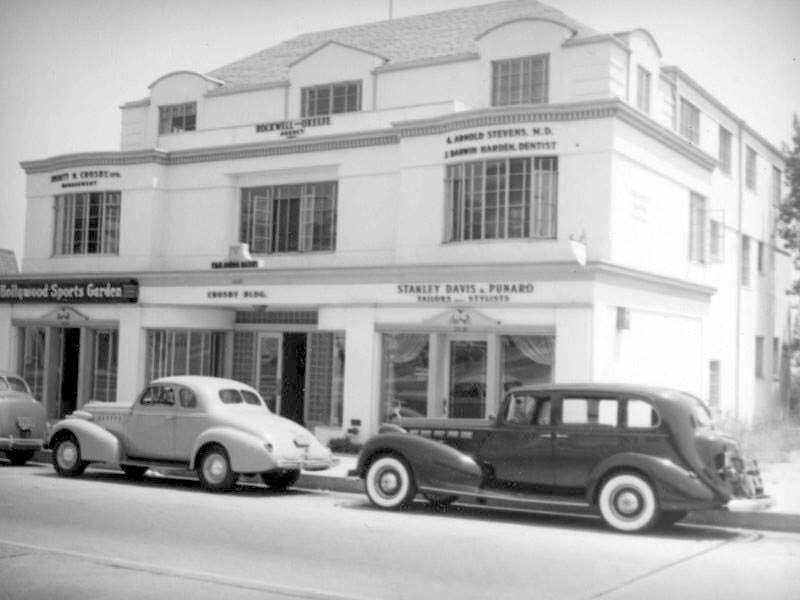 The Crosby Building also housed the Finlandia Baths, a spa that was popular with famous local residents like Humphrey Bogart, Peter Lorre and Rock Hudson. In the City of West Hollywood Commercial Historic Resources Survey conducted in 2016, the Crosby Building was assessed as eligible for historic designation at the local, state and federal levels. This was a rare “trifecta” among the dozens of buildings that were evaluated for the report. Today the building fronts a 1.3-acre property owned by the Charles Company, a real-estate development firm. Last fall the company announced plans to build a 19-story hotel on the site. In a rendering of the proposed hotel project published by WEHOville in October the Crosby Building is shown intact, even if apparently stripped of existing, original ornamental details. On Wednesday, WEHOville reported that Arman Gabay, co-founder of the Charles Company, had been arrested on federal bribery charges. How, or whether, Gabay’s arrest will affect the project’s future is unclear. In the run-up to the commission hearing this week, Gabay’s representatives sent a notarized letter to the Historical Resources Commission objecting to the nomination – a move that could prevent the building from a full listing in the National Register of Historic Places, relegating it instead to an “eligible” category. However, in a subsequent email the developer notified the commission that it would not send a representative to advocate against the nomination. A recent photo of the Bing Crosby building at 9028 Sunset Blvd. As a result of the objection, the Crosby Building’s nomination was moved from the consent calendar to later in the session. During the public comments after a presentation by commission staff, no one spoke against the nomination. 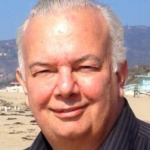 Instead the commission heard from Robert Phillips, who worked on development of recording technology for Crosby at the building in the 1950s and who has spearheaded the historic status designation effort for the building. It was he who prepared the 39-page nomination document for the building, which he submitted to the commission last summer. In his remarks, Phillips said he felt compelled to advocate for historic designation for the building because he is “the last one left” from Crosby’s recording technology development team. Crosby treated his kids like animals, why do this. Tear it down. Abusing kids is unacceptable. Not much top look at is it. WeHo needs to create a Sunset Strip Museum with a large model of The Strip that can show the evolution and tell all of these stories. A good place for it might be the new Gehry project at Sunset and Crescent Heights. If the city showed some respect for history of The Strip it might not be so difficult to remove lesser buildings like this. Was the architect Charles Selkirk? Possibly. Selkirk designed Sunset Plaza which is landmarked. While the Crosby Building has recognized architectural details as does Sunset Plaza, buildings in this era became highly facade oriented and not what one might consider landmark buildings of high value on architectural merits alone. Nevertheless it coincided with the advent of the film business, long on appearances. Does this now mess up the plans for the oversized new development on WeHo’s West boarder? With this STATE Historic Commission declaring the Historic Value & the robust history, I think we should consider removing the current WeHo “process” for Historic Determination, since I recall the City Declared no value (coincidentally making the new project’s developer able to level this and make a modern whatever. Several authentic potential landmark buildings of this era remain on the western stretch of Sunset Blvd. 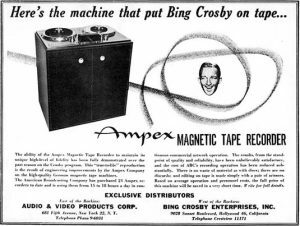 The Bing Crosby Building with its balance and simple dentil molding make it quite timeless. Recently the owners of the Kohner Building successfully nominated theirs which carries a history of its architect Paul Williams as well as the legendary agent Paul Kohner himself. Hopefully these gems will be incorporated into some sensitive refurbishment in the area. So exciting! This listing as National Register eligible is a true landmark. So many fascinating aspects to Weho and the Sunset Strip. I had no idea. Great history and a still intact. I’m sure a miscalculation by the owner. Let’s hope it now gets restored and given the importance and benefits it deserves……without the proposed nightmarish pancake hotel hovering above it. What took so long? The preservationists have been at this a long time – what else are they overlooking ? Great article. I’m still trying to get my head around the thought of Bogart, Lorre & Hudson in he same steam room. Now this building is architecturally and historically worth saving.